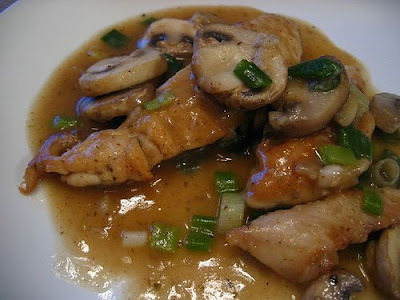 I'm going to share with you today Casual Kitchen's personal recipe for Chicken Marsala. Your guests will never guess you can make a recipe this good in roughly 30-40 minutes. 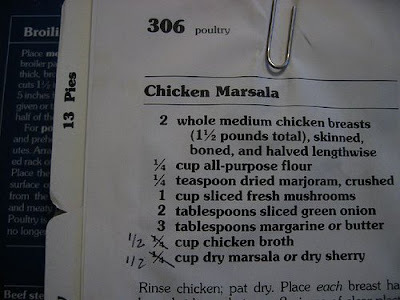 This recipe started out as a literal reading of the chicken marsala recipe in Better Homes, but over the years it went through several evolutionary stages, including, to stretch the metaphor, a few episodes of punctuated equilibrium. Eventually it became something entirely my own. It's now one of our most treasured recipes. Don't get me wrong, the Better Homes version is adequate, but it just didn't go far enough. The flour mixture used to coat the chicken was a bit boring, so I revved it up. Instead of a mere 3 tablespoons of sliced scallions, why not use the entire bunch? Most significantly, I at first doubled, and ultimately ended up tripling, the most critical ingredient--marsala wine. 1) Melt 1 tablespoon of the butter in a large nonstick pan and saute the scallions and mushrooms on medium high heat for 4-5 minutes, or until tender. 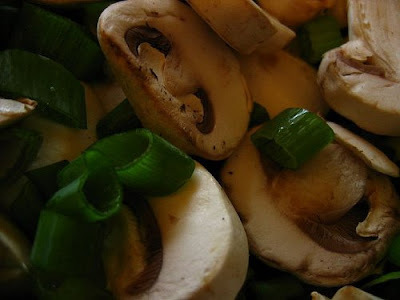 Set scallions and mushrooms aside in a separate bowl. 2) Dredge the chicken tenders in the flour mixture above, coating each piece of chicken generously. 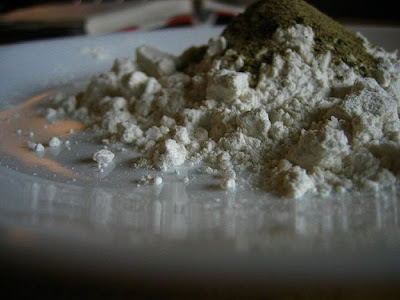 Be sure to save any leftover flour mixture (see below). 3) Melt the remaining 2 Tablespoons butter in the pan, and fry the breaded chicken tenders on medium high heat for about 2-3 minutes on each side, turning and browning them on both sides (if the breading starts burning or sticking too much on the bottom of the pan, you can add a couple of tablespoons of olive oil to moisten the pan for better frying). 4) After the chicken is done, leave the chicken in the skillet, turn heat up to high, wait 30 seconds, and pour in the marsala wine. 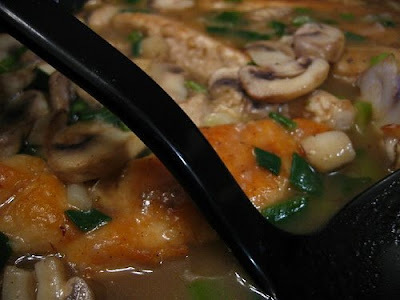 Let the wine sizzle and foam for a 2-3 minutes, then add the broth, add back the vegetables, and add 1-2 tablespoons of the flour mixture to thicken the sauce to the right consistency. Let the sauce simmer for just 2-3 minutes and then serve. 5) To serve, place two pieces of chicken on a plate and then ladle a generous helping of the sauce over the chicken. 1) Don't be afraid to improvise with the flour mixture if the mood strikes you. An example: consider using a few generous shakes of cayenne pepper in place of--or even in addition to--the black pepper. 2) A note on chicken tenders: First of all, what is a chicken tender? It's the inner, and most tender, portion of the chicken breast. Your grocery store meat department will sell them separately, albeit at a slightly higher price per pound than regular chicken breasts. You can use regular chicken breasts for this recipe, but you will need to tenderize them, as untenderized chicken breast meat will be too tough for this recipe. Using chicken tenders eliminates this entire time-consuming step, and in our view is a good compromise between cost and efficiency. 3) Don't let me catch you using store-bought cooking wine in this recipe. Why spend $4.99 on a 16 ounce bottle of salty unpalatable wine when you can pay $10 for a cheap 750ml bottle of real sherry or Marsala wine? Another key advantage: you can enjoy the wine (and its pleasing analgesic side-effects) while you're cooking the meal. 4) Last, if there's any single step in this recipe that's most important, it's step 4, where you turn up the heat and, in an exciting rush of sizzle and steam, add the marsala wine to the browned chicken. Be sure to wait a couple of minutes before adding the rest of the ingredients. This process imbues the chicken pieces with a stronger wine essence and it will take the dish up several notches in flavor. You'll love it. This is definitely an easy to make and tasty recipe the one flourish I would add that never fails to impress is to put a light to the marsala just after it hits the pan. You get a nice little flambe going till the alchohol burns off. Lots of fun.